You are here: Home / Blog / Cloud backup or storage? How about both? Cloud backup or storage? How about both? 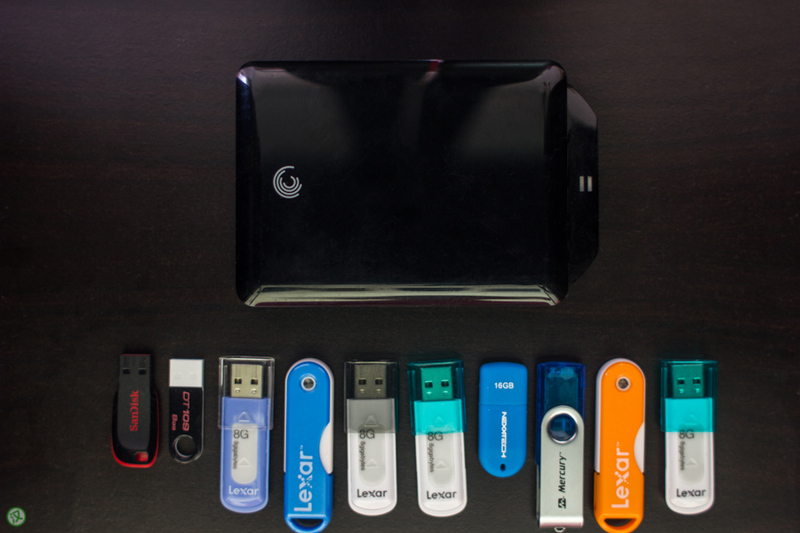 Cloud backup and cloud storage, when used together, could literally save you time. Picture this scenario: you just finished writing a very important letter that could decide your future career. You made some large changes to the sentence structures of an entire page because you didn’t like the way you worded it at first. You save the file. You start moving some of your paragraphs around to improve the organization of your letter. You save the file again. The next day, you come back to do some more work and find out that when you reorganized the paragraphs, you accidentally deleted the page to which you made all those sentence changes. What would you rather do – spend possibly an hour or more rewriting the page or restore from the version you saved before you started reorganizing? If you’re a sensible person, you’d likely choose the latter rather than the former. Let’s face it, we all have limited time in our lives. Just the thought of having to redo a task you already spent the time to finish makes you want to bury your head in your hands. We are all living in a modern era with technology meant to save us time. So why aren’t enough of us using it? My previous articles (Your backup in the Cloud and Secure your cloud storage) spoke about the benefits of cloud backup and cloud storage. This time, I’m going to tell you why you need to use both at the same time. First off, you get double protection for your most important data. What are the most irreplaceable files on your computer? Your family photos? Legal documents? That music collection you spent years converting from vinyl? If you’re using one and not the other, it’s like driving with either a seatbelt or an airbag; ordering a burger or fries, but not both; or choosing between sleeping and eating. Cloud storage will allow you to access your data for everyday use. You also get some revision history backup for your files. Remember that scenario above? You could just restore your document to the point before you started reorganizing those paragraphs, saving you time that could be better spent with family, watching TV, or taking a nap. Meanwhile, cloud backup would give you that extra layer of backup at an archive level. Do you want to remember what your child looked like two years ago? Even if you deleted it, you could pull the photo file out of cloud backup and relive that nostalgia! Did a virus delete all your files and sync those changes to your cloud storage, thus deleting everything everywhere? Just restore it from cloud backup! Another reason why you should use cloud backup and cloud storage together is you gain the ability to reap the pros of both without the cons. If you’ve only been using cloud backup, you lose the convenience of having access to your files on your phone. If you’ve only been using cloud storage, you lose the chance to back up old files you want to keep but don’t need immediately. Leveraging both together ensures you get the best of both worlds. Collaborate on projects with your co-workers, employees, or friends using cloud storage. This level of productivity means you get more done in less time. Pay a fee to have your cloud backup provider mail you a physical hard drive of your data backup so that you have a copy you can instantly access in an emergency when your Internet is down or being too slow to restore from the cloud. If you haven’t noticed, this is basically an advanced million dollar strategy that corporations use called the ‘three rules of backup’ (you can read more about these rules at http://goo.gl/AyoKt3). It all comes at a fraction of the cost – approximately $20 a month. Even if you’re not a business owner, isn’t your data worth much more than that to you? The world has gotten to a point where most technology solutions take some time to set up, but are relatively easy to maintain or maintain themselves. As mentioned previously, both cloud backup and cloud storage have solutions that are ‘set it and forget it’. Do you really want to risk a lifetime of taking risks with your data because you can’t be bothered to spend half a day setting up these solutions? At worst, you could hire somebody to do it for you! Guess what? If you already had cloud backup and cloud storage set up, your files would have been backed up in less time than it took you to read this article. Don’t let tomorrow be the day you lose your data. Set this up today! This article was cross-published on Thompson Citizen.